This is part seven of a seven-part series on state trends we’re watching in 2019. 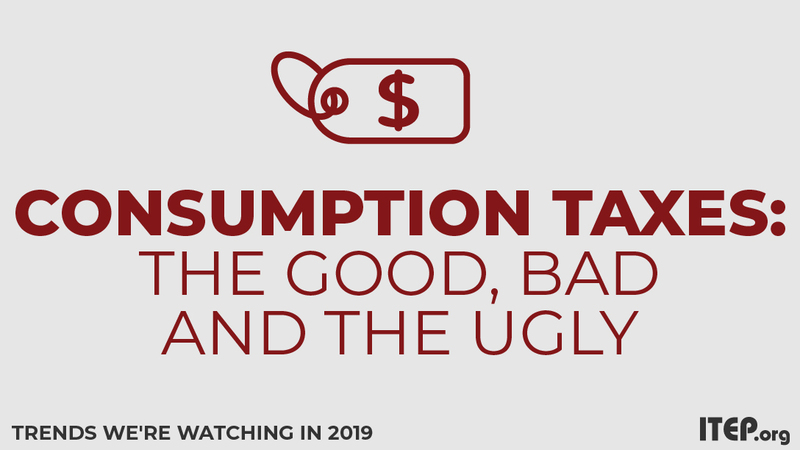 Consumption taxes are a significant source of state and local revenue, and we expect that lawmakers will continue to adjust state consumption tax levies to adapt to budget needs and a changing economy. In June 2018, the U.S. Supreme Court ruling in South Dakota v. Wayfair, Inc. made it possible for states to require businesses that make sales in the state but do not have a physical presence, or economic nexus, to collect and remit sales and use taxes. The main impact of this ruling is states can now require online retailers to collect and remit sales taxes in the same manner as brick-and-mortar stores. As expected, since the ruling 38 states and the District of Columbia have taken legislative or regulatory action to update economic nexus laws. Most regulations require retailers to meet a threshold of in-state sales of either a dollar amount or number of sales. Seven states with sales taxes have not yet updated their economic nexus laws and several have already proposed changes this session. ARKANSAS lawmakers introduced HB 1002 on the first day of session. If passed, it is expected to generate $35 million in state sales tax revenue and an additional $8 million for cities and counties. Lawmakers in VIRGINIA finally proposed legislation this month that would go into effect July 1, but lobbyists for large online retailers like eBay are pushing to delay implementation until 2020. In addition to taxing online sales, many states are adding digital sales, like streaming services or other digital goods, to their sales tax base. But the combination of taxing digital goods and economic nexus requirements is creating a difficult compliance landscape in some states. For instance, CALIFORNIA’S nexus threshold for out-of-state retailers is more than $100,000 in taxable and nontaxable sale in-state. This means that although California does not currently tax digital sales, the revenue from digital sales will count toward whether an out-of-state retailer is responsible for collecting and remitting sales tax. MONTANA is one of five states that does not currently levy a general sales tax, but lawmakers are looking to establish a broad-based general sales tax in a swap for most residential and commercial property tax. The proposal would make the state’s overall tax structure much less progressive and would also likely be a net revenue loser. Other states taking misguided steps with their consumption taxes include CONNECTICUT and NEW MEXICO both of which are considering adding groceries to the sales tax base, a move that will fall hardest on low-income families. Conversely, newly elected governors in IDAHO and KANSAS campaigned on platforms that included eliminating taxes on groceries, but it is unclear if other budget priorities will allow them to take action this session. Levying or exempting specific items from excise taxes is also on the table in several states. Activists in CALIFORNIA have launched a campaign to exempt feminine care products from the sales tax base like other medically necessary items. While lawmakers in MONTANA are attempting to revive a failed ballot measure to tax e-cigarettes like other tobacco products. The federal government’s refusal to raise the revenue needed to invest adequately in our nation’s infrastructure has been a decades-long disappointment. Fortunately, states are increasingly stepping up to at least partly fill the gap – a trend that appears likely to continue in 2019. Most states have raised their gas tax rates since 2013, but others have waited a decade or more since their last increase. Many of the worst procrastinators are contemplating gas tax increases this year including ALABAMA, ARIZONA, HAWAII, KANSAS, LOUISIANA, MINNESOTA, NEW MEXICO, OHIO and WISCONSIN.